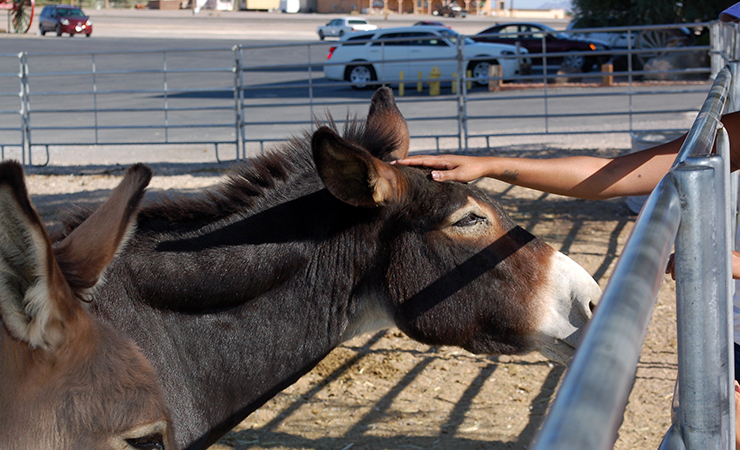 Circle your wagons for a good time at our RV resort near Death Valley. Much like the settlers of yesteryear who crossed the nation in covered wagons, today's travelers often hit the highways in recreational vehicles. 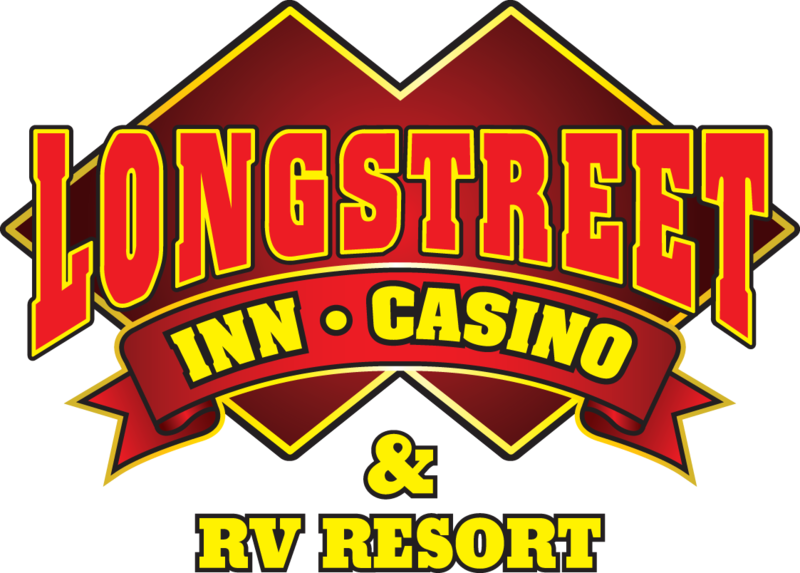 If you’re a member of this mobile group, consider making a stop at the Longstreet Inn, Casino & RV Resort on your next trek. With 51 sites featuring full hookups and easy access to our facilities, you’re likely—and more than welcome—to cool your wheels for a while. 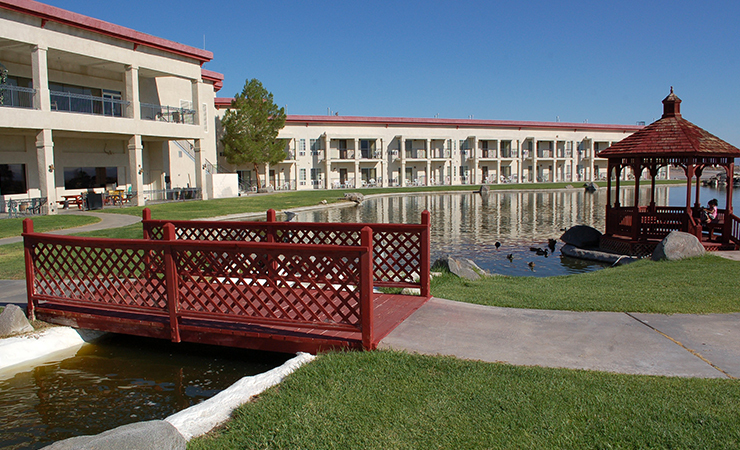 During your stay with us, try your luck in the casino; enjoy breakfast, lunch or dinner in one of our on-site restaurants; take a dip in the pool or hot tub; and sit in our Gazebo beside Lake Longstreet and enjoy the peaceful atmosphere of our desert hotel. 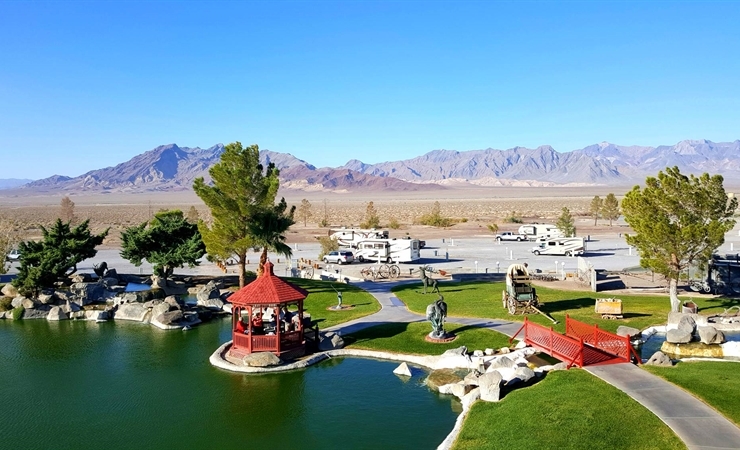 After a long day of exploring Death Valley, relax at the fire pit with your neighbors. 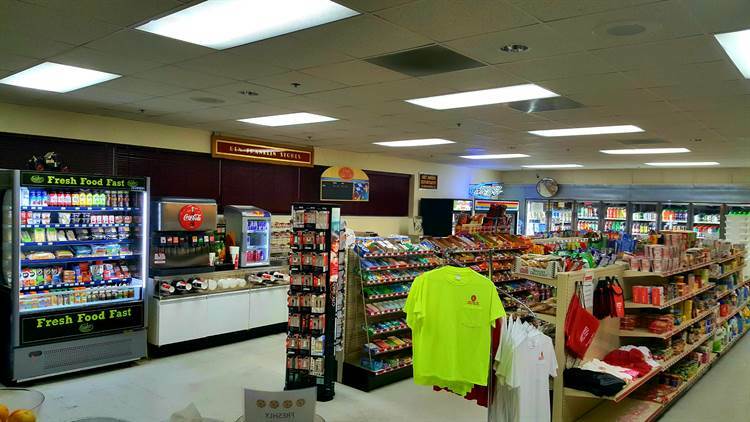 If you need supplies or some souvenirs, stop into our 24-hour, fully stocked convenience store. Explore our RV Property Map, featuring camp sites and available amenities. 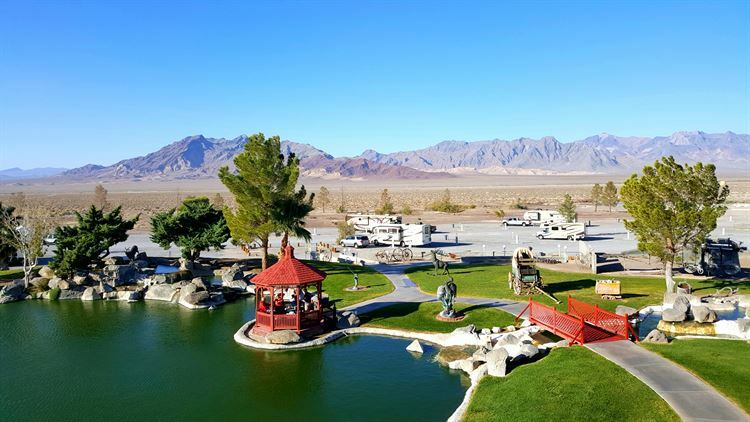 Choose from 51 pull-through RV sites for your stay near Death Valley National Park. Each site features electric and plumbing hookups for your convenience.